No. 10 TCU’s home win streak ended with a 6-1 loss to the No. 4 Texas Longhorns on senior night Saturday. TCU hadn’t lost at home since falling to No. 4 Florida 3-4 back in early February, winning eight in a row before it was snapped. The Frogs had an impressive start to doubles play, sweeping doubles for the first time in six matches. The Alex Rybakov/Alastair Gray duo improved their record to 12-6 on the year, while the Reese Stalder/Bertus Kruger team improved to 14-5. The Sander Jong/Luc Fomba doubles team did not finish but were down 3-5 when the doubles point was called. 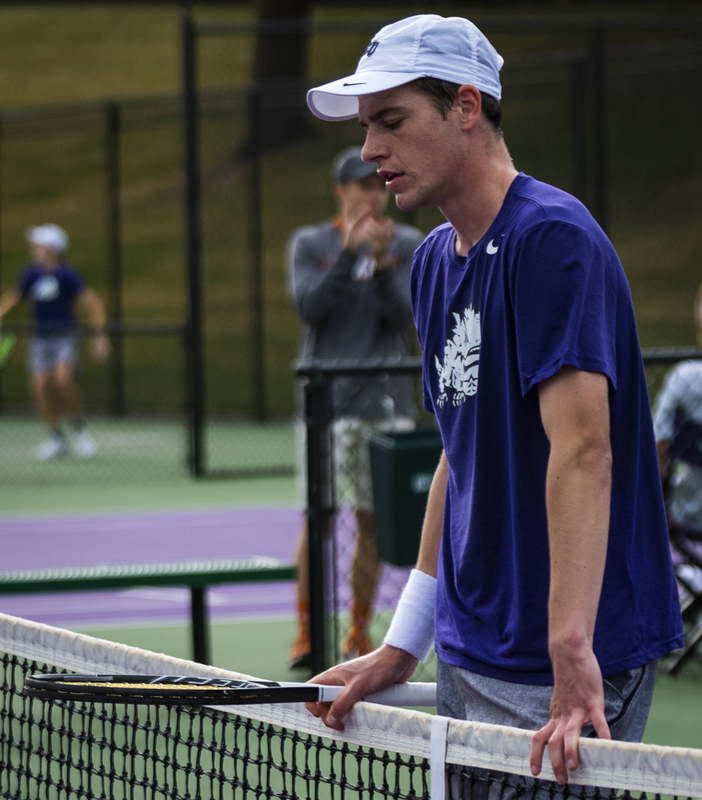 For the first time this season, the Frogs were swept in singles. No. 20 Gray was the first Frog to fall as he lost 6-4, 6-2 to the No. 5 player in the country. Stalder went down quickly after, 3-6, 5-7, giving Texas the 2-1 lead overall. He had yet to lose any straight set matches in the season, but now has lost in straight sets two matches in a row. Fomba was handled easily in the first set but had a booming comeback in the second set, winning 6-2 to even the scoreline. This play could not be sustained, however, as he fell 2-6, 6-2, 4-6. “Fomba finding the energy that brought the best tennis he’s played in a while to win the second set was a win,” Roditi said. The other TCU senior, Rybakov, was one of two Frogs to win the first set. 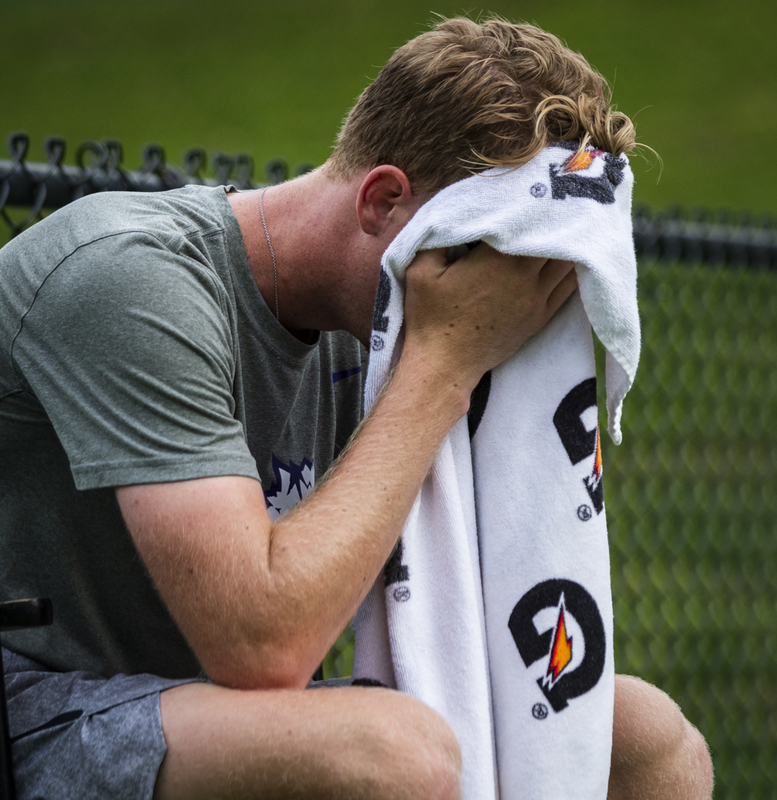 Slowly running out of gas, though, he couldn’t last and lost 4-6, 6-3, 6-2 to hand the match to the Longhorns. This is the first time in the last four seasons Texas has beaten TCU and sets TCU at 4-3 against the Longhorns since the Frogs entered the Big 12. TCU currently stands at third in the Big 12 standings behind Baylor and Texas. The Frogs have one final home match of the season against Texas A&M at 5:30 p.m. Monday. After the match, TCU will travel north to Oklahoma for Friday and Sunday matches against Oklahoma and Oklahoma State to finish the regular season. The Big 12 Tournament, held in Lawrence, Kansas this year, will take place from April 18-21. TCU will look to capture their third Big 12 Tournament title in the last four years. Jack is a sophomore Journalism major and Film, Television, and Digital Media minor from Atlanta, Georgia. He enjoys writing, sports, and gaming.